Welcome to this, my 158th news bulletin. It’s not often that I get the opportunity to combine my role as your local MP with my work in Government as Minister for Children and Families, but this week I got to do just that. On a visit to Underwood West Primary School in Crewe, I was able to see for myself how the biggest, most ambitious and aspirational reforms to Special Educational Needs (SEN) in over 30 years are starting to bed in. And what underpins these reforms - that I’ve taken through Parliament - is something that perhaps should go without saying: the desire to see all children with SEN and disabilities do well in education, find employment, lead happy and fulfilled lives, and have more choice and control over the support they receive. It’s a radical overhaul that breaks down artificial barriers, and that champions children with SEN as never before: from birth right through to adulthood. And Underwood West are helping lead the way. Through their “Achievement for All” programme, the school is bringing together teachers, professionals and parents to support their children who have additional needs so that they really do achieve their potential. Why is this important? For too long, families who have children with SEN have faced big enough challenges in what one mother called “an unending battle” with a system that’s supposed to be on their side. Our reforms and the work of Underwood West Head Teacher Jane Tomlinson are designed to take us from a system that, despite best efforts, simply became too complex, fractured and adversarial, to one that’s clearer, more joined-up and much more focused on children achieving their best. This means raising our ambitions much higher - and putting young people and their parents firmly in the driving seat. When I spoke to one of the mums during my visit, it was refreshing to hear how this new approach had already started to make a real difference for her child – whether that be more confidence, better social skills or improved reading and maths. My mission in politics, derived from a childhood spent living with foster children, has always been to make sure that some the most disadvantaged in our local community should get every possible chance to be the best they can possibly be. My visit to Underwood West made me proud to be MP for a part of the country that gets that too. Spoken with plotholders at Ford Lane allotments, about the future of Crewe's allotments and the great success that the community at Ford Lane is enjoying. Brought Sajid Javid MP, Secretary of State for Culture, Media and Sport to Crewe, to see the work of the Cheshire Academy of Intergrated Sports and Arts on Broad Street, and meet some of the disabled athletes who are in training using the fantastic facilities there. Attended the Holly Holy Day re-enactment, which this year commemorated the 371st anniversary of the Battle of Nantwich. Held two of my regular constituency advice surgeries, in Crewe and in Nantwich. Addressed the Year 8 students of Citizenship at Brine Leas School, who kindly invited me to talk about my work as an MP and Minister for Children and Families. Become a 'Dementia Friend', by receiving training from the Alzheimer's Society. Thanks to the Rt Hon. Sajid Javid MP, Secretary of State for Culture, Media and Sport, who joined me and Cheshire East's Cabinet Member for Care and Health in the Community, Councillor Janet Clowes, at the Cheshire Academy of Integrated Sports and Arts at Broad Street. He saw first-hand how the Academy has evolved, with the Council's support, into a thriving community resource, offering integrated sports, gymnastics, arts and dance to children and young people of all abilities, together with a community cafe, older people's lunch club, cookery courses, cinema club and IT coaching. Also pictured here are Jane Whetnall MBE (Chief UK Coach) and members of the Rhythmic Gymnastics Team, some of whom have been selected as part of the UK Team in this summer's Disability Olympics in the USA. I was pleased to receive 'Dementia Friend' training from the Alzheimer's Society's Lucie Newsam this week. I have also arranged for all of my team in the Crewe and Nantwich constituency office to become Dementia Friends, to help us all understand more about dementia, and the ways we can support people who are living with dementia in our community. 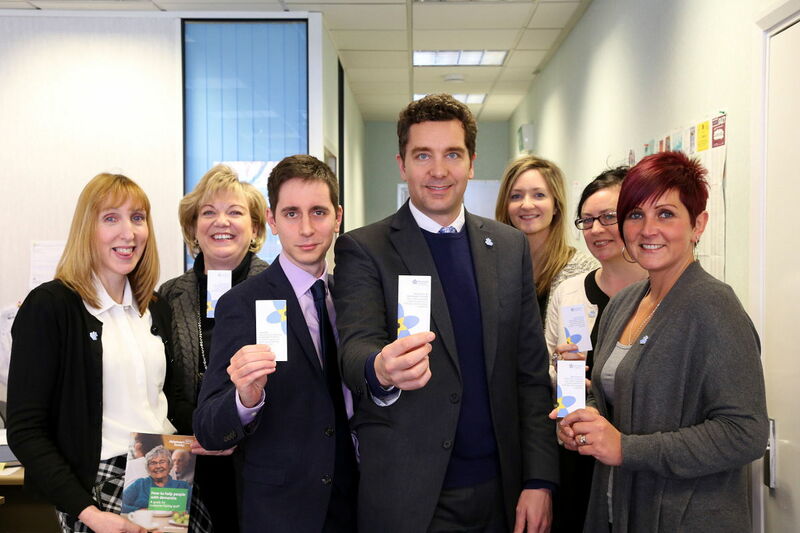 Crewe and Nantwich MP Edward Timpson has visited Cheshire Neighbours Credit Union’s offices in Crewe to see how they are helping to keep local people and families out of the clutches of loan sharks and payday lenders. 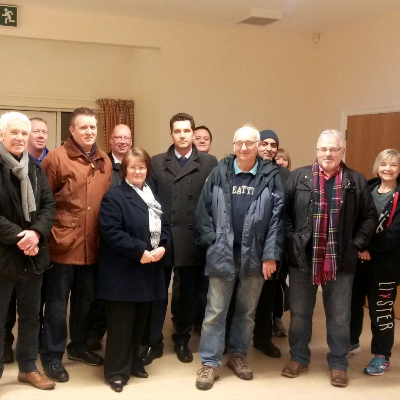 Crewe Chronicle: Campaigners fighting plans for the new 900 home village at Gorstyhill are urging residents to make their feelings known to the council before the February 18 deadline.They have secured the backing of MP Edward Timpson. Full Borough and town and parish elections are due to be held for all Borough wards, town and parish councils, across the Borough of Cheshire East on Thursday, May 7, 2015. The next parliamentary General Election will also take place on the same day. If anyone is interested in standing as a candidate at any of the above elections within the Cheshire East area, they may find it useful to attend one of our briefing events – details of which are given below. The briefings have been arranged to remind candidates of the nomination procedures and other important election matters. Highways staff have once again been out late into the night and early this morning gritting the borough’s roads and plan to extend their operations to minor routes especially in outlying villages. The team once again faced challenging weather conditions with icy stretches forming on some roads owing to sub-zero temperatures. Further snowfall in the early hours resulted in significant accumulations in some areas, chiefly in the north and east of the borough. Gritters and snowploughs were deployed on primary routes and hillside communities with constant clearing and gritting operations continuing throughout the morning. The Met Office is predicting further wintry showers and sub-zero temperatures tonight with ice presenting a real threat. Many schools in the borough are again closed today or are partially open and closing early. Almost 100,000 extra bins were collected throughout Cheshire East in just seven days over the festive season, thanks to hard work and rigorous operational planning. Ansa Environmental Services Limited, which provides the Council’s waste and recycling services, drafted in additional vehicles and staff to ensure that all residents would have their recycling and household waste collected despite the Christmas and New Year bank holidays. To make sure the service ran like clockwork, rounds were rescheduled to bring forward collections for all householders who were due a visit on Christmas Day, Boxing Day or New Year’s Day. The team also promoted the changes well in advance by adding a sticker to all affected bins, sending out press releases and publishing the details on the Council’s website, Facebook and Twitter. Councillor David Topping, Cheshire East Council’s Cabinet member for service commissioning, said: “I would like to congratulate the crews, team leaders and transfer station operatives at Ansa, who worked extremely hard both before and during Christmas and New Year to ensure that residents would receive an excellent service from Cheshire East Council. “We all know that considerably more waste has to be collected and recycled over Christmas and New Year. Graham Witter, aged 20, who is a BA (Hons) Business Management student at Manchester Metropolitan University (Cheshire Campus), setup hundreds of Christmas lights where he lives at Carters Green Cottage in Weston to raise money for charity. His Christmas light display took place every evening from the 1st to 28th December 2014. The display covered farm buildings and their adjacent yard and contained a combination of rope lights, LED lights, animated 3D figures, 3D inflatables, along with background Christmas music. There was even a small wooden Santa’s Grotto with ramp access. He raised £1,000 in 2013 and in 2014 he raised the amazing total of £5,720. For the second year running all the money has gone to 'The Donna Louise Children's Hospice' http://www.donnalouisetrust.org/ , who provide respite care for his teenage sister Jessica. Cheshire East Council is urging all drivers to take extra care in the wintry conditions and can assure residents and road users that highways’ teams have carried out repeated gritting operations throughout the borough over the past two days. When heavy snow has fallen on already treated roads, then a further treatment is required in order to make the roads as safe as possible in the prevailing conditions. Councillor David Topping, Cabinet member for service commissioning said: “We ask the public to bear with us and encourage motorists to make only necessary journeys when conditions are particularly challenging. “Snowfall was particularly heavy in the north of the borough and our well planned and prepared response was effective. The council’s street cleansing teams have been clearing all major footpaths in town centres, around hospitals, railway and bus stations. Extra resources have been drafted in to ensure that gritting and snow clearing operations are matched to the current demand. The Met Office are predicting sub-zero temperatures tonight and more snow or sleet is likely tomorrow. The council’s policy is to treat all primary routes first before moving on to minor roads. In the meantime, care should be taken and unnecessary journeys avoided. At least 20 schools across the borough were forced to close today mostly in the Macclesfield area and parents are advised to check with schools for further updates. Some bin collections had to be missed because of the weather but residents can be assured that the crews will catch up with them as soon as possible. Willaston and Rope Ward Councillor Brian Silvester has complained that the duplication of house numbers causes confusion in Rope Lane. Do not list items on online auction sites on behalf of others you do not know or trust. Be vigilant of ‘work from home’ jobs which involve passing funds through your bank account. To alter the messages you receive, please click on the “message settings” button below this message. Cheshire East Council is encouraging residents to be prepared for another spell of ‘severe’ cold weather after a Met Office alert was issued for the region today (Wednesday). Conditions are set to become increasingly cold and wintry over the next 24-48 hours and remain cold for the rest of the week. Gritters are on standby, ready to deal with conditions where road temperatures dip below freezing, and the Council would again like people to check in on their friends and neighbours, especially if they are older or if they have heart or breathing problems. It is worth checking if vulnerable neighbours’ homes are warm enough. Living rooms should be heated to 21C and bedrooms to 18C. Information about heating repairs can be found at www.cheshireeast.gov.uk/homerepairs or by ringing 0300 123 5017. Also, ask whether your neighbour has enough food and medicines to prevent them having to go out in very cold or icy weather. It adds that ‘cold conditions’ will persist for the next few days across England. “Snow showers will affect most areas at times through the rest of this week and over the weekend with locally significant accumulations in places, particularly for hilly areas in the north. The Council has also issued a video message to Cheshire East residents this winter, at this link: https://vimeo.com/113722819. South Street, Crewe from the junction with Nantwich Road to the junction with Gresty Road. Pedestrian access to any premises situated within the temporary lane closure will be maintained at all times. Vehicular access will be maintained for emergency vehicles and residents where possible. The lane closure is necessary to enable United Utilities to carry out emergency sewer repairs. It is anticipated that the works will take place on the following date(s): Sunday, February 1, 2015 to Monday, February 9, 2015. This notice will become operative on Sunday (Feb 1) for a period of 21 days or for such less time as is necessary to enable the works to be completed and may be extended by a further 21 days if necessary. If you have any enquiries relating to the works please contact Amey on telephone 0800521660. Cheshire East Council held a poignant act of remembrance to mark Holocaust Memorial Day – on the 70th anniversary of the liberation of Auschwitz by the Allies. Council Leader Councillor Michael Jones led civic dignitaries representing communities from across the Borough at the Holocaust Memorial Day Act of Remembrance, at Sandbach Town Hall, at 11am today (Tuesday, January 27, 2015). Around 80 people, including dozens of members of the public attended the ceremony. The event followed a personal initiative by Councillor Jones, announced in December 2013, to make this an annual commemoration by the authority. Holocaust Memorial Day has taken place on the same date since it was introduced in 2001. January 27 was chosen as that was the date when the Nazis’ notorious Auschwitz concentration and extermination camp complex was liberated by Soviet troops in 1945. Councillor Michael Jones said: “This was a solemn and poignant occasion which allowed communities and individuals from across Cheshire East to join together symbolically to remember these tragedies and bear witness. “It was an especially poignant occasion today as it marks the 70th anniversary of the liberation of Auschwitz and the revelation of the full horrors of the Nazi regime. “Sadly, as the recent terrorist attacks in France make all-too-painfully clear, humanity is still scarred and brutalised by the belief that religion, political outlook, race, disability or sexuality makes some people’s lives worth less than others. “We gather each year to bear witness to the horrors to which such evil beliefs can lead. Genocide doesn’t emerge from a void – it’s a gradual process, which can begin if discrimination and hatred are not checked and prevented. “This service was not just about remembering the victims of the distant past and honouring the survivors. It was also about honouring today’s victims and those who have perished in genocides across the world since 1945. Congleton High School Year 11 violinist Eloise Smith, 16, played Remembrance, by John Williams, during the ceremony. A Hebrew prayer was read to the gathering by Rabbi Chanan Atlas, of the Yeshurun Hebrew Congregation, of Cheadle and Gatley, in Cheshire. Rushy Lane, Haslington Ward, Crewe, CW2 5QL from the junction with Snape Lane to the junction with Audley Road. The closure is necessary to enable Cheshire East Highways to carry out emergency drainage works. It is anticipated that the works will take place on the following date(s): Monday 19th January 19, 2015 to Friday January 30, 2015 between times 9.30am-15.30pm. Nantwich Road, Crewe South Ward, Crewe, CW2 6EA from the B&Q roundabout to the junction with Pedley Street. The alternative route will be via the following streets: Earle Street A532, Edleston Road A5078, Hungerford Road Roundabout A532, Macon Way A532, Manchester Bridge A532, Nantwich Road A534, Nantwich Road Roundabout A532, Oak Street A5078, Vernon Way A5019/A532/B5076. The closure is necessary to enable Scottish Power to carry out cable replacement. It is anticipated that the works will take place on the following date(s): Monday, February 16, 2015 to Saturday February 21, 2015 between times 7pm-6am. This notice will become operative for a period of 5 days or for such less time as is necessary to enable the works to be completed. If you have any enquiries relating to the works please contact Roadsafe Corporate Group on telephone 01942 722603. ‘The Battle of Nantwich & Winter Fayre’ took place in and around Nantwich town centre and on Mill Island on Saturday 24th January 2015. The event is organised by The Holly Holy Day Society - http://www.battleofnantwich.co.uk - in association with the Sealed Knot re-enactment society. Applewood Independent - http://www.applewoodindependent.co.uk/ - were the main sponsors this year. Holly Holy Day traces back to the 17th century and the four year long first English Civil War between Parliamentarians (Roundheads) and the Royalists (Cavaliers) loyal to Charles I. This year is the 371st anniversary of the original battle, which took place on 25th January 1644. It is the 43rd time the re-enactment has taken place. A variety of events took place in Acton and around the town during the day with a parade from Malbank School and at Nantwich Market Hall, St Mary's Church, Nantwich Museum, Pillory Street, the Town Square and Mill Island. There was entertainment from The Funky Choir, Domesday Morris Dancers, Ezra and the Plough Witches (Wistaston Young Drama Group), RedShift Radio, Nantwich Players and Mark Brisbourne. There was also face painting, a Living History demonstration, and a horse parade. The Museum held Civil War Tours, a musketry demonstration (led by Sealed Knot), children’s entertainment and music from Forlorne Hope. There was also a wreath-laying ceremony at the war memorial on the town square to commemorate people who died in the Civil War Battle of Nantwich and other battles. The 1644 battle was re-enacted on Mill Island, followed by Mayor of Nantwich, Councillor Christine Farrall presenting the Rose Bowl to the best regiment. Thousands of people enjoyed the event, which took place in crisp and dry weather with blue skies. Cheshire East Council will make sure that every one of this year’s school leavers is offered a sixth form or college place or a job with training. Last year the Council made offers to nearly 4,000 young people or 99 per cent of leavers – the highest proportion ever – as part of what is known as the September guarantee process. This has helped Cheshire East to win the accolade of having the fewest NEETs (young people not in education, employment or training) in the North West. Nationally, only four councils have fewer NEETs. Councillor Michael Jones, Leader of the Council, said: “This year we will make offers to every leaver. It will be challenging but it is an essential part of our efforts to make sure that the number of NEETs in Cheshire East is kept to an absolute minimum. The ambitious target on NEETs follows news that Cheshire East’s schools are the third best in England, according to a ranking based on performance in Ofsted inspections. Councillor Jones said: “This is a fantastic accolade for our schools but we are not resting on our laurels. Our aim this year is for 97 per cent of our schools to be rated good or outstanding. Winwick and Congleton areas - Males selling door to door claiming to be on a rehabilitation program, from the North East of England. Advise residents not to buy from cold callers at their door. They may have false I.D. Winsford - 2 males cold called, knocking at an elderly resident’s door offering to repair/replace their driveway. Gawsworth - male cold calling, in a van, offering to sell tools. Tarporley – male cold called an elderly resident and did a small amount of work in the garden (he claimed he had come in place of the usual gardener). He then asked for a fee 4 times the ‘usual’ rate. Alsager – male cold called, in a white van, offering repair work for a damaged chimney. Challenged by resident and drove away quickly. Note down descriptions of suspicious cold callers and their vehicles and call the police on 101 if you are concerned they are targeting a vulnerable neighbour. If you see a cold caller enter a vulnerable resident’s home, and they are still present, and you feel concerned – Report it to the police on 999. Cold Calling takes many forms (scams, fraud, cybercrime, internet crime, rogue traders, etc) and may present itself as an unsolicited caller at your door, over the phone, mail delivered to your home, email and other computer driven scams. Willaston and Rope Ward Councillor Brian Silvester says “Willaston is under siege from developers. In the last year alone over 200 houses have been passed in the Green Gaps that surround Willaston. Now a new application for 120 houses at the rear of Cheerbrook Road has been made. See below. There are many valid planning reasons for the refusal of this application. The objections raised to the previous application by Willaston Parish Council are just as relevant for this application. I have listed them below. Recently the Secretary of State refused an appeal for 880 houses in Rope and Shavington because it was premature due to the fact that the Local Plan has not yet been adopted and in the meantime the Green Gaps should be preserved. Cheshire East Council has given £6,800 boost to a positive parenting scheme. The ‘giveback’ grant will be used to fund workshops to help mums and dads boost their relationships with young children through the power of play. Councillor Gillian Merry, who represents Sandbach Elworth Ward, recently visited one in a series of ‘positive play’ workshops at St Peter’s Church Hall, in Elworth, to present a cheque for £6,800 from the Cheshire East ‘giveback’ grant scheme, in support of the work. Cathryn Houghton, a children and families worker at St Peter’s, said “We have been very blessed to have received this Cheshire East giveback grant, which has enabled us to set up a series of workshops, which are going continue over the next year. “The purpose of the workshops is to enhance the relationship between parents and their children, aged three to five, through positive play. We are pleased to have Sabrina Persiano, a certified play therapist working with us on this project. One parent at the workshop said: “I just think this is fantastic. I heard about it and I thought: all it can do is improve my relationship with my daughter. “Like many parents, my life can be very busy and I realise that I don’t spend enough time playing with her, so I want to be sure that we get the most out of the time we do have together. “Nobody is suggesting that we’re not good at playing with our children but we can all learn something. I have learnt things that I didn’t think I would do, things that I can apply every day, plus it is just nice to meet up with other people and discuss ideas. For more information about the ‘positive play’ workshops contact the church office on: 01298 762 213. Brian said, “I am very happy that the campaign that I ran, that was supported by many residents, Rope and Shavington Parish Councils, Cheshire East Council and Shavington Borough Councillor David Brickhill, to have this huge development refused, has been successful. Along with residents,the Chairman of the Rope Parish Council and Cllr Brickhill I went along to the appeal in Crewe to speak against the application and to be cross examined. If the application had been successful it would have destroyed the precious Green Gap between Crewe and Shavington, it would have caused traffic chaos and would have been unsubstainable. (See full reasons for objecting below) What this shows is that a determined campaign by local residents and their Councillors can win the day despite there being no Adopted Local Plan and no five year housing supply being in place. Cuts in health funding that could see scores of GP surgeries close across England must be reversed, says Cheshire Community Action. The charity is backing a call by its national body ACRE (Action with Communities in Rural England), which says the changes to the Minimum Practice Income Guarantee (MPIG) will hit the most vulnerable rural residents. ACRE – the national voice for England’s network of rural community councils – is calling on the next Government to reinstate the funding in its 2015 election manifesto. The manifesto is based on the rural intelligence ACRE collects from its 38 members, including Cheshire Community Action who reach 52,000 grassroots organisations nationwide. Cheshire Community Actions Chief Operating Officer Mark Reading said: “The loss of any surgery in an isolated rural area will cause hardship to elderly and vulnerable residents. “Rural communities are home to 25% of all older people and with the percentage of over-85s set to double in the next 20 years, provision of local healthcare for our ageing population is crucial. MPIG is a top-up payment given to some general practices since 2004. In 2014/15, NHS England began a seven-year plan to phase out the payment in a review of how GP surgeries are paid for their services. The move led to widespread objections from GPs and the BMA (British Medical Association). ACRE’s Head of Rural Insight Nick Chase said: “The ACRE Network is calling on the next Government to reinstate MPIG for rural surgeries. “A survey of our Network in 2014 showed that the withdrawal of MPIG would hit rural GPs hard. For instance, our ACRE Network member in Devon reported that at least 10% of rural surgeries faced closure and in Cornwall, 20% would lose significant income if these changes went ahead. “Whilst there are those who say that the MPIG is inequitable and requires a rethink, the entire withdrawal of the funding is not the way forward. The ACRE manifesto, which sets out 12 key rural challenges to the next Government, is available at www.acre.org.uk. Children at Hungerford Road Primary School are enjoying a newly refurbished playground which they helped to design. The work was carried out thanks to a partnership between Cheshire East Council and WREN, a not-for-profit business that awards grants to benefit the lives of people living close to landfill sites. Additional funding came from a section 106 agreement with the developer of a former petrol station on Hungerford Road in Crewe. Pupils were involved in designing the play area on Macon Meadows and in selecting equipment, which can be used by children of all abilities. A £3 million Highways Agency project to repair bridges over the M6 in Cheshire will get underway later this week. The Highways Agency is carrying out wear and tear repairs to two bridges which carry Congleton Road and Betchon Road at Malkins Bank over the M6 between junction 16 at Barthomley and junction 17 at Sandbach. The work will focus on remodelling the support structures of the two bridges to tackle ageing and reduce future maintenance and repair visits which can disrupt drivers’ journeys. Traffic management for work at the two sites will be installed this weekend with a full closure of the northbound and southbound carriageway on Saturday night and Sunday night respectively with clearly-signed diversion routes in place. Because of the junction 17 improvement works the weekend’s overnight carriageway closures for a start on the bridge repairs will mean the closure of the northbound M6 between junction 16 at Barthomley and junction 18 at Holmes Chapel from 10pm on Saturday night (24 January) and 5am on Sunday morning (25 January). This will be followed by a closure of the southbound carriageway between junctions 18 and 16 from 10pm on Sunday night until 5am on Monday morning (26 January). The repairs are expected to be completed by mid-May. Drivers are advised that narrowed lanes, hard shoulder running and a 50mph speed limit will be in place along sections of the M6 where the bridge repairs are taking place. Cheshire East Council today welcomed the decision by Secretary of State Eric Pickles to uphold the planning inspector’s refusal of an application to build up to 800 homes, school, retirement village and other amenities on ‘green gap’ land at Shavington near Crewe. The Secretary of State Eric Pickles was asked to determine the appeal by Himor Group whose application was rejected by the planning inspector following a public inquiry last summer. In his announcement today (Tuesday) Mr Pickles said that while the proposed scheme could be seen as sustainable development providing much needed housing, the premature permanent loss of green gap and outweighed the argument in favour. Welcoming the decision, Cheshire East Council leader Michael Jones said: “This is excellent news and clearly vindicates our continued policy of contesting housing schemes that do not meet with our long-term aspirations for a balanced and sustainable development strategy across the Borough. Giving his reasons for upholding the refusal, the Secretary of State said he agreed with Cheshire East Council that growth should not overwhelm the independent character of Crewe, including maintaining a separate identity for its satellite villages. He said that allowing the appeal in before the Local Plan had resolved the green belt/green gap issue would undermine the plan-making process. Himor proposed to build up to 800 homes on a 108-acre site of mainly agricultural land about 1.5 miles from the centre of Crewe and to the south of the town. The developer appealed on the grounds that the Council had failed to determine the application within the prescribed period. The Council said it would have refused permission as the proposed development was in open countryside, would result in the loss of versatile farm land and was located in the green gap. The council argued that a transport assessment had underestimated traffic impact in the locality and that the scale of the proposed development would affect a wide area. To approve it could set a precedent for future applications and was contrary to the National Planning Policy Framework. South Cheshire George Formby Ukulele Society? The South Cheshire George Formby Ukulele Society - http://www.crewegeorgeformby.com - was founded in 1994 and performs a concert at the Wistaston Memorial Hall (Church Lane, Wistaston) on the fourth Friday of every month throughout the year. There are no membership fees to pay to attend a concert and the entrance fee is just £1 to cover the cost of hall rent and light refreshments. The 2015 concerts all start at 7:30pm prompt and take place on 23rd January, 27th February, 27th March, 24th April, 22nd May, 26th June, 24th July, 28th August, 25th September, 23rd October, 27th November, and (Sunday) 27th December. There are also rehearsal sessions, to which new ukulele players are always welcome, also at Wistaston Memorial Hall, on the third Tuesday of every month throughout the year. The 2015 rehearsal sessions start at 7:30pm and take place on 20th January, 17th February, 17th March, 21st April, 19th May, 16th June, 21st July, 18th August, 15th September, 20th October, 17th November, 15th December. Council falls foul of Data Protection law by releasing-mail addresses of those who signed up for community energy scheme. Willaston and Rope Ward Councillor Brian Silvester has reported the Cheshire East Council (CEC) to the Information Commissioner because it has fallen foul of the Data Protection law by releasing-mail addresses of those who signed up for a community energy scheme. See below and attached. Brian said, “Cheshire East Council advertised a Community Energy scheme and invited residents to sign up for it. A letter from the Leader of the Council was sent via e-mail to those who had signed up. In the course of doing so the e-mail addresses of all those concerned were revealed which is a breach of the disclosure of information rules. The Council has issued an apology. See below and attached. Cheshire East Council is warning of severe winter weather conditions this weekend with the likelihood of icy stretches on untreated roads and scattered wintry showers including snow showers. Gritting is already taking place on roads throughout the borough and the temperature is expected to fall well below freezing in exposed rural areas. The wintry conditions are likely to last most of the weekend and Councillor David Topping, Cabinet member for service commissioning said “We urge people to make only necessary journeys if the weather conditions deteriorate as predicted. “Our gritters will be out at regular intervals during the weekend to make sure our roads are safe but it would be wise for motorists to ask themselves – is their journey really essential? “Adding to the problem is the amount of standing water on our highways because of recent rainfall. “We grit about 40% of our total road network – that’s over 1,000 km in total. “And people can actually see where our gritters are operating if they go on to our Cheshire East Highways web site and look for the Winter Service page. Cheshire East Council has successfully prosecuted two benefits cheats who fraudulently claimed thousands of pounds of taxpayers’ money. Both offenders were fined by magistrates and will now have to repay the benefits in full. Clair Edwards-Steele, formerly of Park View, Nantwich, pleaded guilty before South and East Cheshire Magistrates Court, sitting at Crewe (on January 13, 2015), to two offences of dishonestly failing to report changes in her circumstances that she knew would affect her entitlement to housing benefit, Council Tax support and jobseekers’ allowance. Edwards-Steele, 45, had claimed the benefits saying she was unemployed and had no income. However, an investigation by Cheshire East Council’s benefit fraud investigation team and the Department for Work and Pensions found Edwards-Steele was working for a leisure company. The court heard Edwards-Steele had left work each week to sign on, so that she would continue to receive benefit payments, in the three months before she was caught. In failing to declare this, she was overpaid state benefits totalling £2,100 between May 2014 and August 2014. Sentencing, magistrates imposed a £125 fine, £20 victim surcharge and ordered Edwards-Steele to pay prosecution costs of £391. In addition, she will have to repay in full all the benefits she fraudulently received. In a separate prosecution, Kelly Havard, of Cornbrook Road, Macclesfield, pleaded guilty via videolink before Crewe magistrates (on January 12, 2015) to two charges of dishonestly failing to report a change in her circumstances that she knew would affect her entitlement to housing benefit and Council Tax support. Havard, 31, had claimed the benefits on the basis that she was a lone parent and on a low income. However, an investigation by Cheshire East Council’s benefit fraud investigation team and the Department for Work and Pensions found Havard’s husband had joined her household in November 2013 and had been supporting her and her family financially. In failing to declare these changes, Havard received £1,091 in state benefits to which she was not entitled. Passing sentence, magistrates ordered Havard to repay the overpaid benefits in full, imposed a fine of £260 and told her to pay £410 court costs. Councillor Peter Raynes, Cheshire East Council Cabinet member in charge of finance, said: “Benefit fraud will simply not be tolerated by this authority. Employers in Crewe can get funding to encourage their workers to use greener forms of transport and reduce carbon emissions. Grants of up to £5,000 are on offer, which can be used to promote cycling, walking, using public transport and car sharing. Businesses are urged to contact Cheshire East Council and make a bid before the cut-off date of January 27, 2015. Examples of eligible projects are installing cycle racks and shower facilities, improving footpath access, and providing protective equipment or pedometers. Councillor David Topping, Cheshire East’s Cabinet member for service commissioning, said: “These grants have been put to very good use by many of the Borough’s employers and it would be a pity if any of this money was left unclaimed. The Smarter Ways to Travel scheme, part of Crewe’s Local Sustainable Transport programme, is run by the Council in partnership with the South Cheshire Chamber of Commerce. To discuss their ideas, confirm eligibility and request application forms, interested employers should contact Clair Visco, business travel planning officer, at clair.visco@sccci.co.uk or by phone on 01270 504 700. Willaston and Rope Ward UKIP Councillor Brian Silvester is calling on the Cheshire East Council to hand out more 'on the spot' fines for dog fouling and littering. In my own Ward of Willaston and Rope there have been just 3 fines for littering and one fine for dog fouling in the last 5 years. That is simply not good enough when it is one of the main concerns of the residents that I represent. With a population of over 370,000, covering 450 square miles, to hand out just 15 fines for dog fouling over the last two years is pathetic. To issue just 49 fines in the last two years for littering is simply unacceptable. Dog fouling and littering are two of the biggest concerns of local people and the Council should be taking the problem far more seriously. Also dog fouling is a potential health hazard, especially to the young. The Council has a wide range of Wardens across the Borough and they should be using their powers to issue fines far more frequently. Also more staff should be empowered to issue fines as they go about their everyday duties. Also we should be working with the PCSOs to empower them to hand out 'on the spot' fines. At the moment the small minority of residents who drop litter and allow their dogs to foul without cleaning it up have no fear because they know there is virtually no chance of getting caught and fined. Also the Council needs to do more to educate the public about the need to keep our lovely Borough clean, tidy and safe." An online dealer in fake goods, who was brought to justice by Cheshire East Council, has been told to hand over nearly £30,000 or face a jail term. Noel Hitchen ran a company called Xtra Funky Limited, which sold mobile phone covers and other accessories through various websites. Many of these items carried unlicensed trade marks belonging to Hello Kitty, Disney, and football clubs including Manchester United, Liverpool and Chelsea. Last April, Crewe Magistrates’ Court imposed a two-year conditional discharge on Hitchen and his wife Stephanie, of Rimmer Grove, Elworth, Sandbach, after they admitted possessing and selling counterfeit goods. Large quantities of illegal goods were seized from the Hitchens’ previous address in Crewe and from a nearby storage facility and have since been destroyed. Cheshire East Trading Standards, which brought the prosecution, then launched a financial investigation which led to a proceeds of crime confiscation hearing at Chester Crown Court on January 14, 2015. Hitchen was given six months to pay a total of £29,105.36 under the Proceeds of Crime Act 2002 or face a default sentence of 12 months. He was also ordered to pay costs of £12,894.64 within two months. Councillor Les Gilbert, Cheshire East’s Cabinet member for localism and enforcement, said: “Counterfeit goods cheat members of the public who hand over their money expecting a good quality product. Fakes are almost always inferior or dangerous. “In this case, Cheshire East Trading Standards has worked hard to ensure that the offenders do not benefit financially from their crimes. “Confiscation under the Proceeds of Crime Act is an extremely powerful law enforcement tool because it takes the profit out of crime and acts as a strong deterrent to others. “Some criminals treat imprisonment and fines as a cost of doing business. They expect to emerge from jail with a swagger knowing they can enjoy their ill-gotten gains. Drivers are being advised that the junction of the M6 at Sandbach will be totally closed to traffic for a whole weekend later this month as work on a £2.3m upgrade forges ahead. Work to upgrade junction 17 (J17) by improving motorway joining and leaving arrangements began in November and is on course to be completed by March. Most of the work so far has involved daily overnight closures of the slip roads and the A534 between Sandbach and Congleton, which runs over the motorway at J17. The same closures will be needed for a whole weekend later this month, starting from 8pm on Friday, January 23 and lasting until 6am on Monday, January 26. While the main carriageway of the motorway will be unaffected by this work, bridge repairs elsewhere along the M6 the same weekend will mean overnight closures of the main carriageway between junction 18 at Holmes Chapel and junction 16 for Barthomley. Drivers normally using J17 will in any case have to use either junction 18 or junction 16 to join or leave the motorway during the weekend junction closure. The one-off weekend closure is needed to undertake essential protection works to the underground services. This is necessary for the re-modelling work along the A534, which is getting a new roundabout and traffic lights at the motorway slip roads. No further weekend closures are anticipated. Councillor David Topping, Cheshire East Council Cabinet member in charge of service commissioning, said: “This is important work that requires a temporary disruption during daylight hours. “We will be working with the Highways Agency’s service providers Balfour Beatty Mott Macdonald to ensure any disruption is kept to a bare minimum – and we thank road users in advance for their patience and understanding at this time. “Work on this pinch-point scheme to improve J17 at Sandbach is just the latest phase in our long-term commitment to investing in and improving our road network for the benefit of local people, businesses and visitors. Highways Agency project manager Jakub Malaj said: “We would like to thank drivers and other local people for their patience so far, as work progresses. This weekend closure was anticipated in planning the programme of work and we will be doing all we can to complete as much as we can during the full closure to minimise any future inconvenience to drivers. The junction improvement project is part of the Government’s £317m ‘pinch-point’ initiative – a two year programme of targeted works being delivered alongside larger schemes and routine maintenance and improvements along the strategic road network. The pinch-point programme, devised with the input of councils and local enterprise partnerships, is designed to help stimulate new development and local economic growth by improving road safety and tackling congestion bottlenecks. In all, 28 projects, worth £66m, are being delivered across the North West. ● Installing new lighting and improving drainage, surfacing, road markings and signing. A main highway got a full makeover in just one day after a fuel spillage damaged the road surface. About 200 metres of the A534 Old Mill Road in Sandbach had to be replaced after a collision between an HGV and car on Monday afternoon (January 12). The accident, which happed close to traffic lights at the junction with The Hill, damaged the lorry’s fuel tank and caused diesel to spill out over the carriageway, dissolving the binding agent in the tarmac. Cheshire East Highways sprang into action at 7am the following morning, removing and relaying 1,500 square metres of road surface and also replacing road markings, cats’ eyes and traffic signal detector loops. They also removed a damaged sign, pruned back trees, picked litter, swept and cleaned the roadway and gulleys, and adjusted ironwork. The work was completed by the evening but the road remained closed overnight on Tuesday/Wednesday because of the daily 8pm closure for works to improve Junction 17 of the M6. Councillor David Topping, Cheshire East’s Cabinet member for service commissioning, thanked motorists for their patience while the road remained closed in both directions. Councillor Topping added: “Cheshire East Highways and its contractors carried out these repairs as quickly as possible to keep disruption to a minimum. The New Year fired the starting gun for the 2015 General Election campaign. But voters won't only be asked to turn out on Thursday 7 May to elect their Member of Parliament - they will also be voting to elect their local representatives to the Borough Councils of Cheshire East and Cheshire West and Chester, and Town and Parish Councils across the county. And the Cheshire Independent Network (CIN) is encouraging individuals to stand for election in May to represent their local communities. The CIN is a non-profit, volunteer run organisation that promotes and supports independent candidates and non-party politicians across Cheshire. CIN chair and Middlewich Town Cllr Bernice Walmsley has been involved with the network since it was founded in 2011. "The CIN supports individuals standing in elections by providing advice, expertise, and practical help," said Bernice. "Independent politicians are an impassioned alternative to the status quo and often make the most credible and effective local candidates. Instead of representing a party, independents represent their electorate which means you can trust them to work hard for you." As part of that support, the CIN is running a workshop for people considering standing as independent candidates in the May local elections. "As the network comprises a range of current and former Councillors as well as members of the public who are interested in local democracy but don't support any of the national political parties, we have a lot of experience and encouragement to share with individuals who want to get involved with their local councils but are unsure where to start," said Bernice who is one of the key speakers at the workshop. Also sharing their expertise will be Cheshire East Cllrs Paul Edwards and Brendan Murphy. The workshop will give valuable insights into the work of a Councillor (what it entails, the commitment required), the rules and regulations relating to standing as a candidate, and how to mount a successful campaign. The workshop will be held on Saturday 31st January 2015 from 9.30pm until 1pm at The Wych Centre, Civic Way, Middlewich, Cheshire, CW10 9BX. It will be followed by a light buffet lunch and networking opportunity. Fire Chiefs are inviting anyone who wants to see if they've got what it takes to be a firefighter in Crewe to come along to one of three taster events at the town's fire station. Cheshire Fire and Rescue Service is recruiting now for on-call firefighters for the Macon Way station. The taster events will give potential applicants the opportunity to meet crews, as well as training and recruitment officers, who will explain exactly how to follow the recruitment process. They will also be able to try out the physical tests in the brand new recruitment pod, a bespoke test unit, one of only three in the UK, housing the elements needed for the national firefighter recruitment tests. The first event is on Wednesday January 21st January, the second is on Friday 23rd January and the third on Saturday 24th January. Anyone who is interested can call in any time between 10am and 3pm at Crewe Fire Station, Macon Way CW1 6DS. Service Delivery Manager for Cheshire East, Lee Shears, said: “We’re looking for committed men and women to join our on-call crews at Crewe Fire Station. If you would like to come along to one of the open days please call Sarah Dornford-May on 01606 868451 or email sarah.dornford-may@cheshirefire.gov.uk for full information. Cheshire East Council has set up a new company to run its transport services. Transport Service Solutions Limited (TSS), which began operating on January 1, 2015, will coordinate and deliver the Council’s public, home to school and social care transport. It will fulfil Cheshire East’s contractual and statutory responsibilities but will also introduce greater freedom to develop new business through a more entrepreneurial approach. TSS is the seventh alternative service delivery vehicle (ASDV) to be set up by the Council. ASDVs are a vital part of Cheshire East’s approach to strategic commissioning and have brought about greater flexibility and removed many restrictions in the way services are provided. The contract between the Council and TSS was signed in front of the transport team at an event to mark the occasion at Crewe Lyceum Theatre. 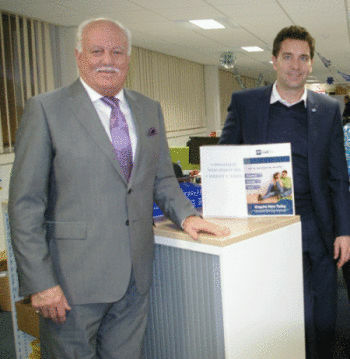 Cheshire East Council Leader, Councillor Michael Jones, said: “ASDVs boost enterprise, innovation and value for money. They enable us to improve services and put residents first. Cheshire East Council is encouraging residents to brace themselves for a spell of ‘severe’ cold weather after a Met Office alert was issued for the region today (Monday). Conditions are expected to become more cold and wintry by Thursday and remain that way until Sunday. It is worth considering whether someone’s home is warm enough. Living rooms should be heated to 21C and bedrooms to 18C. It adds that the North West can expect ‘cold conditions with occasional wintry showers’. Low overnight minimum temperatures are expected from Thursday to Sunday. Welcome to this, my 157th news bulletin. As your local MP I receive hundreds of letters, emails and phone calls each week on a whole variety of subjects. As we go into a general election year, I wanted to write about the silent majority. There are about 40,000 households in Crewe and Nantwich, and although I’ve helped with over 16,000 individual cases, that still means I’ve not heard from many more. I believe strongly that, though this coalition has been a new kind of government for us all to get our heads around, we’ve been standing up for the interests of that silent majority, and I want to set out some of the changes that have been made since the 2010 General Election. From the moment they took office, ministers began introducing measures to protect living standards – ranging from increasing personal tax allowances to freezing council tax (now frozen for the 5th year running); from the biggest cash rise in pensions ever to protecting universal benefits for pensioners such as free bus passes and TV licences. The welfare state is being protected with greater spending on the NHS, but the money is being spent more effectively, with a cap on benefits to ensure people cannot earn more through state benefits than by working, and a programme to tackle youth unemployment – now down locally by 66% since May 2010. The Government has brought in tougher new rules to reduce immigration. Ministers are standing up for our interests in Europe. For the first time, if the European Union introduces a new treaty that will impact the UK, the law states there will have to be a UK referendum on the proposals. Most importantly for me, Crewe and Nantwich have been – and will continue to be – huge beneficiaries of these policy areas. They are creating jobs and attracting business, and they are the policy successes of which, locally, I am most proud. The opportunity has been hugely rewarding, as has watching the local unemployment figures fall: a 35% drop in the last year alone. I can assure you that both the Government and I will continue to stand up for the silent majority in Crewe and Nantwich as long as you allow us to. It has been an immense privilege and challenge and one that I strongly wish to continue to dedicate myself to. Cut the ribbon at the official opening of Gym Juniors, a new local business providing a fitness centre for children, which encourages young people to lead a healthy, active lifestyle. Visited the Nantwich Rotary Club Chirstmas float (pictured, right), on its annual tour of the town, raising money for local charities. Met with Chief Executive John Weir, of the Cheshire Neighbours Credit Union, to discuss the credit union's plans to strengthen and extend its services, which benefit both savers and borrowers across Cheshire, including many people who would not otherwise have access to a current account or a responsible loan. Presented prizes and commendations to the winner and top-placing entries to my Christmas card competition. Congratulations to winner Freya Goodwin, whose design I used on all of the Christmas cards that I send in my role as a Member of Parliament - including to the Prime Minister! Held the latest of my regular constituency advice surgeries at my office in Crewe. My next surgery will be in Nantwich on Friday, 23 January, and there are appointments available. Call my office if you would like to book a slot to speak to me about any issue or concern. Congratulations to Freya Goodwin from Leighton Academy, winner of the competition to design my 2014 Christmas card. This year's theme was "A cracker of a Christmas in Crewe and Nantwich", and I would like to thank Freya for her winning design, and all those who sent in such creative entries. Nantwich News: More than £10 million of extra funding will help tackle pothole-ridden roads across Nantwich and Crewe. Cheshire East Council has received it as part of a £54.5 million Government allocation to improve roads over the next six years to 2020/21. Crewe and Nantwich MP Edward Timpson has welcomed the announcement of £10.45 million of new funding for potholes. Cheshire East has been forced to increase its own spending in recent years as the borough's roads have been plagued with potholes and rising complaints and compensation claims from motorists. Mr Timpson said: "We all know that potholes and poorly-maintained roads are a menace, particularly around the Christmas and new year period. "So this is great news for everybody who relies on the roads in Crewe and Nantwich. "£10.45million of funding – part of a £54.5million package for maintenance over the next six years – will go a long way to dealing with the problems we face on our roads. "Investing in Britain's roads and infrastructure is a key part of our long-term economic plan to secure a better future for Britain – and it's only possible because we've taken the difficult decisions to cut ineffective spending elsewhere. "By fixing our roads the government is backing local businesses, and making life that bit easier for the hardworking people in Crewe and Nantwich who use them to get around." Nantwich News: A new children's group in Nantwich aimed at 'physical play' for youngsters, is proving a big hit. 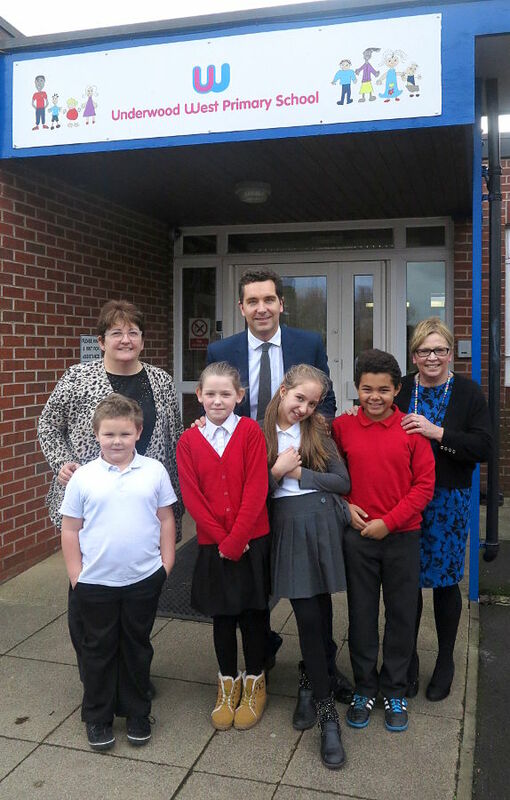 Gym Juniors was launched at units in Stuart House, Arnold Street, off Barony Road, and was officially opened by Crewe and Nantwich MP Edward Timpson. Brains behind the project is Richard Adams, who said the idea was to link Gym Juniors to his other business, running Studio 121 Personal Training. "Gym Juniors is Studio 121's 'little brother' really," added former Malbank School student Richard. "It's been designed to give children of all ages a venue where they can enjoy exercise regardless of their ability. "We aim to provide a class timetable that offers something for everyone. But if your child wants less structured time for physical play then we can accommodate that too with our soft play times." The 36-year-old worked in a website development and marketing company before he retrained and became a Personal Trainer. "After working in gyms as a fitness instructor and personal trainer I decided the only way I could make a sustainable living out of the industry and affect the most amount of people was to go self employed. I decided operating from a studio was the best system. "I started in a very small premises on Welsh Row by myself for two years and when I had outgrown that I took on a much bigger place where I had the capacity to recruit another trainer. "Three years later we had the opportunity to expand again which brought us to Arnold Street. We now operate with four personal trainers!" Richard's wife Emma also helps run the business. "We always wanted to expand and having young children ourselves made us aware of the lack of opportunities for children to participate in exercise or activities outside of the school and club setting," he added. "We felt there was a clear gap in the market for a children's fitness centre that offered a wide range of classes from one location." Among the different age group classes are "Little Explorers" (aged 2-3) and "Little Sports Stars" (aged 4-7). There are also regular baby yoga sessions, as well as "Junior Boxing Skills" classes for ages 6 to 11. There is a traversing climbing wall which is used in some exercise classes and in birthday parties it hosts. For details on classes and to book for parties, visit the club's Facebook page. 2014 was a busy year for Cheshire Fire and Rescue Service not only for incidents but for the wealth of work in our communities and businesses our crews, advocates and support staff carried out. Watch the work we do with younger people in the county, along with awards the Service has won. Make a new year’s resolution: test your smoke alarms on the first of every month in 2014 – and beyond. January is an opportunity for a fresh start, please make safety top of the list. Please make sure that you have enough smoke alarms in the home and that they work. It only takes a few seconds and saves lives. Cheshire Fire and Rescue Service is recruiting for on-call firefighters at the following fire stations: Alsager, Crewe, Ellesmere Port, Knutsford, Runcorn, Stockton Heath, Tarporley and Wilmslow. Could you be an on-call firefighter? If yes, come along to one of our taster events. The event will give potential applicants the opportunity to meet full-time and on-call crews, as well as training and recruitment officers, who will explain exactly how to follow the recruitment process. Cheshire East Council has given a £25,000 boost to a new scheme to develop local community groups across the Borough. Council Leader Michael Jones presented the grant cheque to Cheshire Catalyst to help set up street associations – that will help make our neighbourhoods a better and happier place to live. The aim is to launch the project in 25 streets and then roll the scheme out throughout Cheshire East. The idea is to gather community-minded people from each street – typically about 25-50 homes and around 100 people – to bring inspiration, support and a new sense of fun and belonging to our local communities. Each street association will be run by a core group of residents. They could organise community events for their street – such as tea dances, children’s parties, quiz nights, day trips or walks in the countryside, for example. 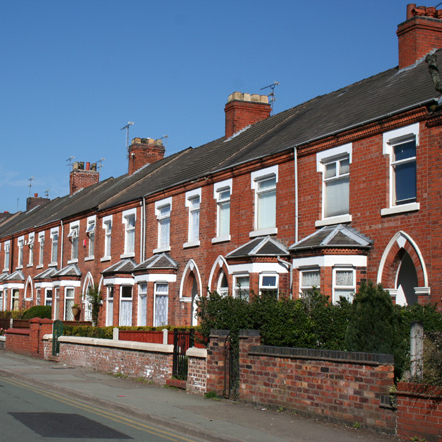 As part of the process, those who live alone or are vulnerable would be contacted and neighbours encouraged to visit and provide help and support. Tools and equipment could also be shared among neighbours. Councillor Jones, who presented the grant under the Council’s budget surplus ‘giveback’ scheme, said: “Loneliness and isolation are two of the major scourges of life in 21st century Britain for a whole host of reasons and they present a significant challenge for Cheshire East. Street associations began in Birmingham and are now spreading. Founders Martin and Gina Graham are excited at the prospect of working with Cheshire Catalyst to establish street associations in Cheshire East. The Grahams said: “We have seen amazing transformation in the communities we have worked with in Birmingham and are currently initiating street associations in a town in the south of England.